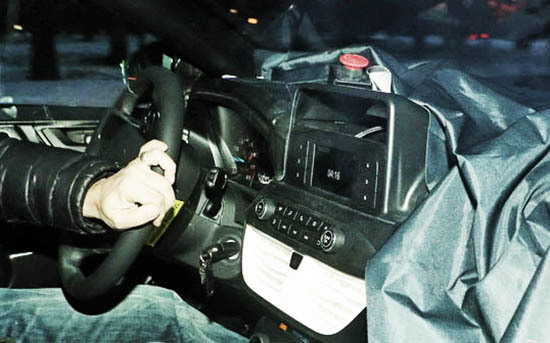 Based on this grainy spy picture, this has to be one of the worst looking dashboard ever. But still, this is really bad. I just hope the US version at least will end up better. Let's blame it on a bad picture. Head over HERE if you can take more . Pictures and info. 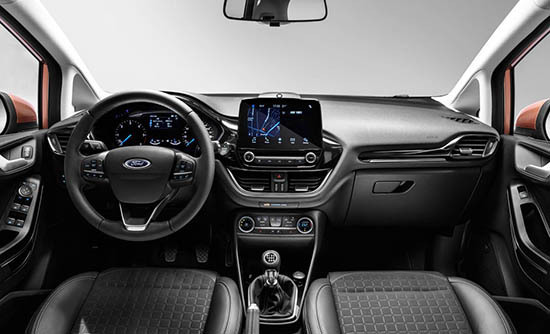 For reference, here is the interior of the all new 2018 Fiesta. Which is pretty decent. Except for that non integrated screen/tablet. But that seems to be the case in most new interiors these days. You can see how that could easily look really bad on a low rez spy shot like the one above. Too early to say anything, it's just a prototype. Plus, this picture is terrible. If you look closely at the steering column it says "steering prototype" on the yellow sticker. This interior is just parts thrown together to make it drivable, aside from the general placement of the controls, probably none of it is final parts. The pictures of the exterior show a major change in design, unlike the 2018 Fiesta. Doesn't look like it could be a 2018, though. More like 2019 or 2020. Oh come on, Vince. It's clearly a prototype without a finalized interior. Cut the dramatics. While it does have some camouflage on it. it IS the final design. Just like we though with the first pictures of the current Mustang interior. Which turned out to be the final design. Parts of it are still covered, and trim pieces like chrome etc, are missing. Check out the other pix on the link. They show the car (still camouflaged) with the final design. These are the final stages of testing. Where the exterior and interior are the real thing. Just without trim details. "While it does have some camouflage on it. it IS the final design." So what are you reacting to, the camouflage or what you think is the final design? Most ugly elements in this picture are clearly 3d printed workhorse panels, such as the "super tiny screen" infotainment shroud, screen and AC vents. Not much point giving your opinion on design of camouflage. "Not much point giving your opinion on design of camouflage"
Exactly. This is just Vince being Vince.